Jamie’s oil paintings attempt to explore the boundaries between the grotesque and the saccharine - turning the ordinary into the unfamiliar. Inspiration comes from many sources, be it studio detritus, fly tipping, trans humanism, conspiracy theories or fast food. Although tethered somewhat to reality, the paintings are mainly undisturbed by intrusions from the real world, allowing Jamie to create notional, metamorphic spaces - fabricating an idealised past or future, which can be populated with allegorical figures and objects. An open- ended process is important to the construction of the work – paintings are worked over repeatedly, with the final image only being discovered over time. 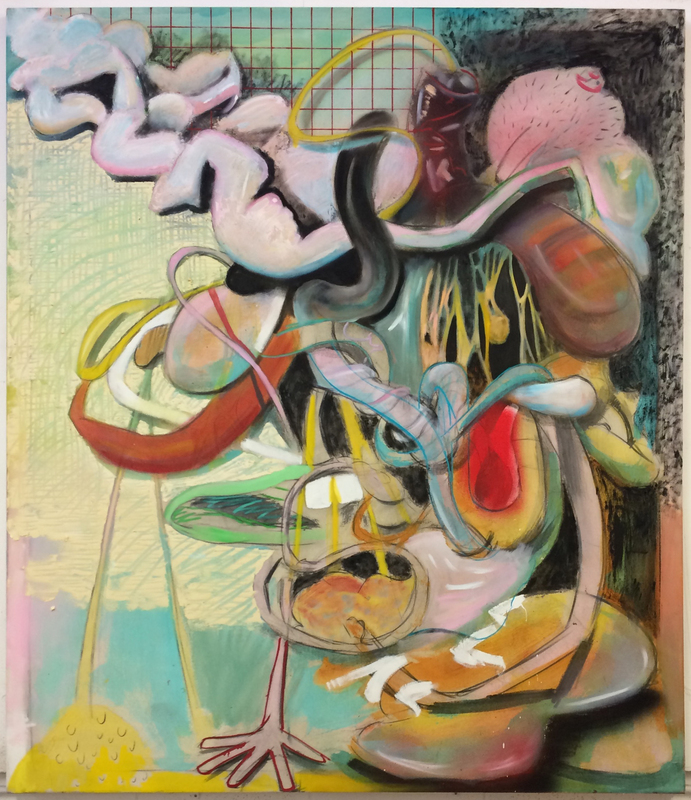 Ben recently completed two years as part of the Turps Banana Painting Programme in London and was one of the prizewinners at the 2016 John Moores Painting Prize. Ben is represented by Castor Projects.